Gaming is a challenging hobby to maintain. There’s a lot of new tech coming out every single day. It’s hard to find a manufacturer that will be able to comply with all of your needs for your stuff, but luckily, Logitech is a brand that never fails. 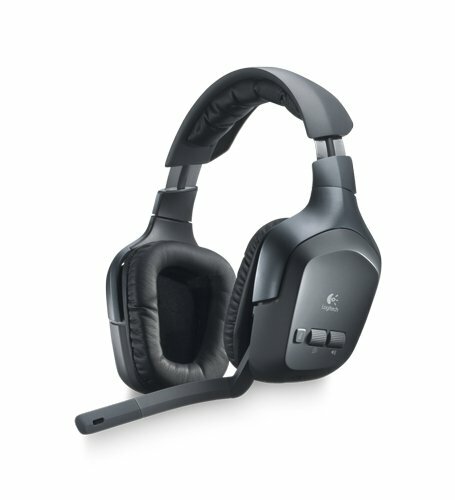 Finding a great headset could be difficult as well, however, Logitech has a range of headsets that you can choose from. 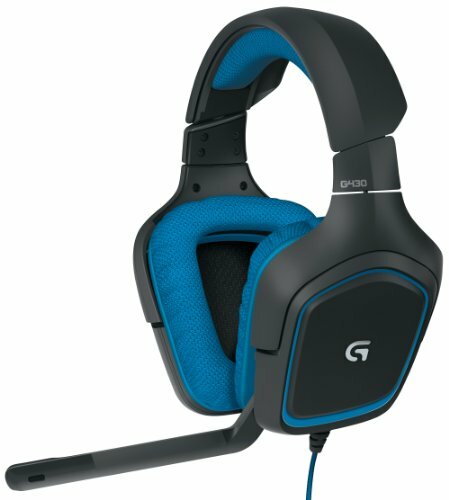 Here are our Top 10 best Logitech gaming headsets for you gamers out there! 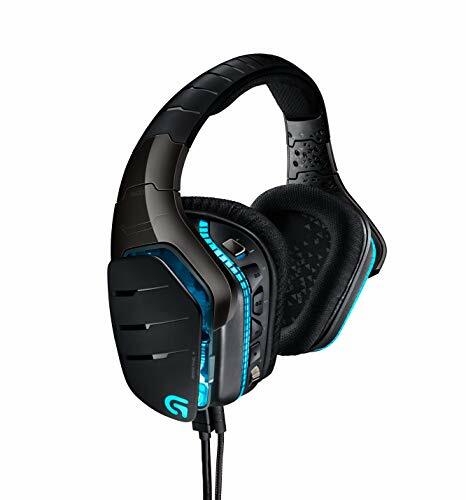 The first item in our list here is the G933 Artemis Spectrum. It’s wireless- you can connect this headset to your computer using Bluetooth. This headset is pretty light, and it’s comfortable to wear in your head. It has soft cushions that’ll make sure that your ears won’t sore. It has up to 12 hours of battery time, as long as you keep the LEDs off. Also, you can customize its setting to hear the sounds that you like most and the color of its LEDs. The microphone attached to this headset is pretty good as well, the people will be able to hear your voice crystal clear. However, there is a chance that the headset will fall off if you walk around the house/not sit still by your computer. While pairing to your computer, make sure that you have your Logitech app uninstalled then reinstalled first, as there is a chance that it won’t connect. There might also be times when it will randomly shut down on its own. 12 hours Battery time (LEDs off). 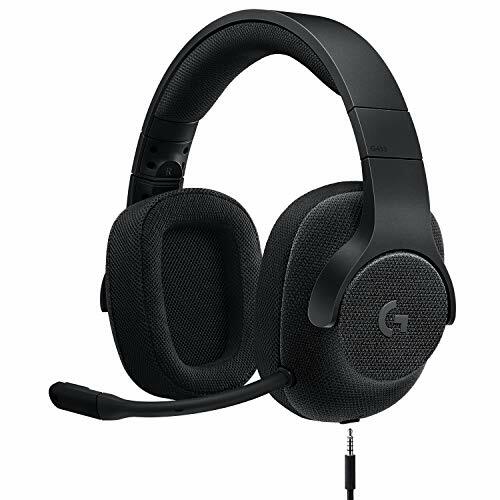 Called the G533, this headset works for Windows 7 and up. You can use this bad boy for 16 hours straight, and they’re very comfortable to wear. Its Bluetooth range is pretty far away- it can go up to 10m away. It claims to offer 7.1 Surround Sound that will ultimately be able to stimulate an actual in-game environment. The headset itself has a minimalistic design, however, if you want LEDs attached to your headsets, do know that the only color this has is green- and it’s on the power button. 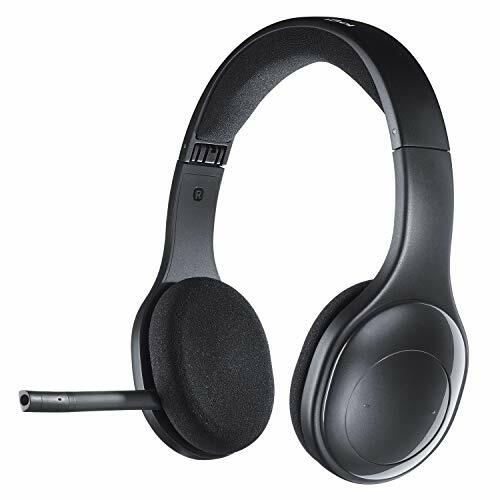 The headset is easy to set up, and the connection instructions are straightforward, tremendous and hassle-free. It has a noise-canceling microphone so your friends will be able to hear you all clear. The build of the headset itself is good as well. It doesn’t feel like it’s been made with cheap materials- not to mention it’s sleek design makes it very professional looking. The headband is made out of matte plastic, and it has the Logitech logo embossed to it- and that’s basically its design. 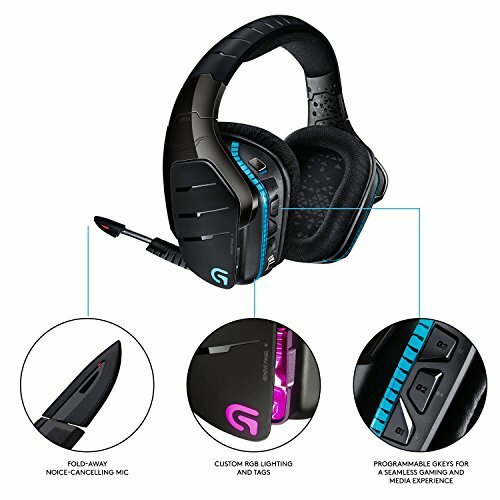 Another headset on the Artemis Spectrum line, the G633 has sound adjustments save to it already so that you can configure and adjust it immediately to your liking with no hassle. It has a pretty good sound cancellation. Also, sound doesn’t leak. It has two microphones that can be used, one online and one headset. You can listen to music while listening to calls- no need to get special adaptors or earphones for it. However, the padding on this headset may get a little stiff so that it may get uncomfortable, and it may get a little loose. The overall design the headset has does look nice, but it has a slight cheap plastic feel. It may also occasionally creek, but you won’t be able to notice this once you have it on. The headphones speakers are loud, and it doesn’t sound bad. The lights are RGB too, and you can change it to whatever you like. The G433 is lightweight. It has a hydrophobic shell that will protect it from stains. It provides excellent sound and is cheaper than the others on the list. Its mic is detachable and has its own pop filter built-in. The design of the headset itself is pretty simple, you can choose if you want to get it in red, black, or royal blue. The cushions might not feel the best though, but you have the option to change it into something more comfortable. Getting any of the colored version of this headset will immediately set you against the crowd- as it has a unique appearance of having the cushions in color as well. Also, with its design, you’d be able to head out with ease- no need to hide it in your back. However, it’s recommended that you should tweak around the audio settings so that you’d be able to get your ideal sound. The directional audio this has is impressive though, great for games that require a lot of spatial awareness. The F540 can last up to 10 hours. It’s light, comfortable, and portable. The controls on the side do feel nice, but they might do better if it had some sensitivity adjustments. The audio on this headset is excellent. It might not have the best surround sound, but it doesn’t flat out or sound untuned. The lows are deep and clear, and the in-game quality of the mic is pretty good too. This makes it really great for both gaming and tv use. It has a wide range as well. The package includes the headset, a wireless transmitter box, and various cables. It can connect to various appliances as it has multiple inputs. Take note that the headset’s mic might echo whenever you’re talking to someone. Also, there might be some static. This unit, the G330, is very comfortable. It’s light, adjustable, and flexible. It will fit the head of anyone with ease. The sound quality of this thing is pretty good as well. Take note that this unit doesn’t use batteries- it uses wires to charge. Also, if ever you forgot to charge, you can just connect the 3.5mm mic/headphone jacks to either your phone/computer in order to hear. Take care of your wires, as it’s all fragile and might break easily. The mic might pick up some background noises when you’re speaking- but also, it might not. The headset is designed to sit on the back of your head- it may not be like most headsets, but it does feel comfortable. It may even be light enough for you to not notice that you’re wearing them. It also has pivoting ear pads that won’t hurt your ears- it actually relieves pressure. If ever the headset doesn’t fit you, don’t worry as it’s completely adjustable. The G430 sounds incredible. The headphones use surround sound, making you experience a complete 360 sound field that will make you feel what you hear. They’re also pretty comfortable to wear- it has a head clamp so don’t you worry about it falling off your head. Keep in mind that unlike most in this list, this headset does not have Bluetooth. However, the device may not be super durable. If ever the sound that comes out is not in your satisfaction, you can configure it’s setting until it does. Because this headset is very comfortable, your neck wouldn’t cramp even after hours of playing. The pads that come with this headset can be removed and washed- so if ever it gets dirty or smelly, don’t be afraid to pop it in the laundry. Just be sure that you don’t end up losing them. It’s made out of 3rd Tier plastic, so it does bend and break easily. This also means that it isn’t durable- it may break after a few months or so. It’s recommended that you really take care of it to make it last longer. The Logitech H800 is pretty versatile. It can connect to your pcs, laptops, tablets, and smartphones easily- you can even switch between devices on the go. It has a built-in equalizer and has noise cancellation, not a single sound will be heard when you wear this headset. You can go 30 ft away, and you’d still be able to use it’s Bluetooth setting. It’s pretty comfortable to wear, and it grips tight on your head, so it doesn’t fall off. It doesn’t sound that bad either. However, this headset does have a downside, it doesn’t have that long of a battery life. This unit can only last up to 6 hours at most- which isn’t really that long especially if you mostly consume your time with it on the computer. Its design is pretty straightforward and simplistic, it looks small and compact as well. With those two combined, no doubt you’d be able to bring it anywhere with no hassle. The device also has specific buttons on the side- they’re all spaced out evenly so you won’t have any problem pressing them. Another one from the Artemis Spectrum series, the G933 is incredibly comfortable. The sound that comes out from this headset is incredible as well. Its surround sound is clear and focused, and if you’re not that into it, do know that you can customize the headset into your liking. You can change the programming in your buttons as well, although, keep in mind that they might not always trigger when pressed. Also, if you don’t turn off the headset lights when you use it, it’s battery will run out faster. The design of this headset is pretty good as well. It has LED lights that are fully customizable. Keep in mind that if you don’t turn off the headset lights when you use it, it’s battery will run out faster. Also, when getting this unit, you can choose whether or not you want it in black or white. The set up is easy and innovating as well, meaning you can figure it out on your own with no hassle. 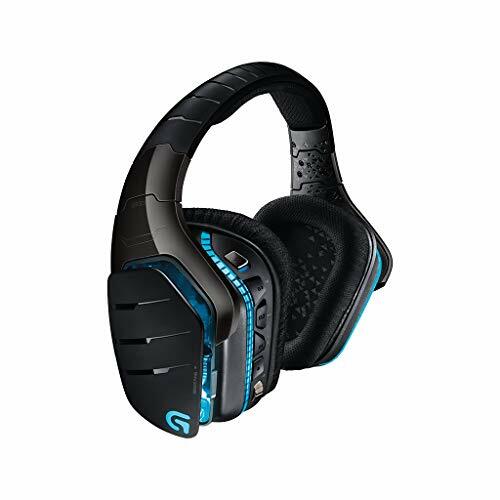 The final item in our list is the G930. This headset has amazing sound, it’s 7.1 surround sound is in top quality. It’s pretty comfortable as well. It has ear-cups that’s easy on the ears, and it’s snug so it wouldn’t fall off. It has a battery life of around 10 hours. When you’re not using it, you can tuck away the mic by rotating it. 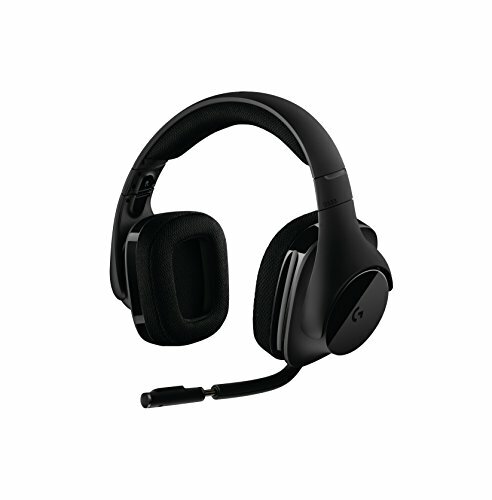 The headset also has good wireless range- up to 10 feet away from the wireless receiver. The unit is also pretty durable. However, the mic quality isn’t that amazing with this headset. There may be times when your voice may sound like it’s being mumbled through. It has a battery life of up to 8 hours, depending on use. 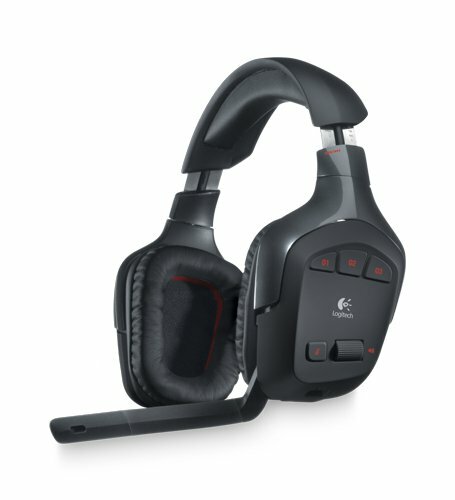 Like some of the other headsets, you can customize this one as well using the Logitech app.